Not only is it time to switch over your summer wardrobe, but it's also time to bring out a few new favorite fall shades of nail polish! Today I'm teaming up with Julep to bring a little inspiration for transitioning your favorite summer shades into the perfect fall ensembles. For transitioning lighter, more summery shades of green polish into fall, try accessorizing with a darker bag or clutch. For me, sporting dark nail polish like a plum shade would be quite the risk. 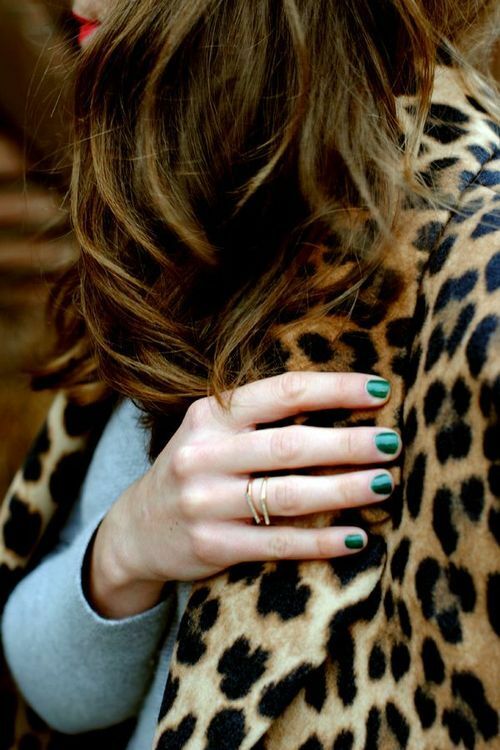 Try pairing bold polish with a more neutral outfit, but still with something that stands out like this cool fur vest. What are your tips for transitioning your fall polish colors? What is your favorite shade for fall? Don't forget to shop some pretty new colors at Julep or their best sellers here. Gorgeous post! I love all of the fall colors! Awesome post about transitioning colours! I'm a huge fan of navy blue. I love red nail polish for fall! I think my favorite nail polish colors for Fall would have to be Navy or an Emerald color!